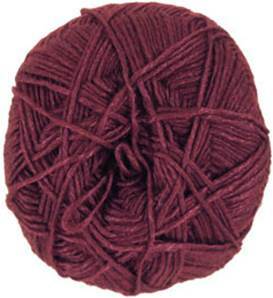 Katia Kiss 4 ply knitting yarn, 58 Claret in dark brick red. Lustrous and airy 4 ply, 50% merino wool / 50% nylon. 250m per 50g ball, recommended needle size 3 - 3.5mm.